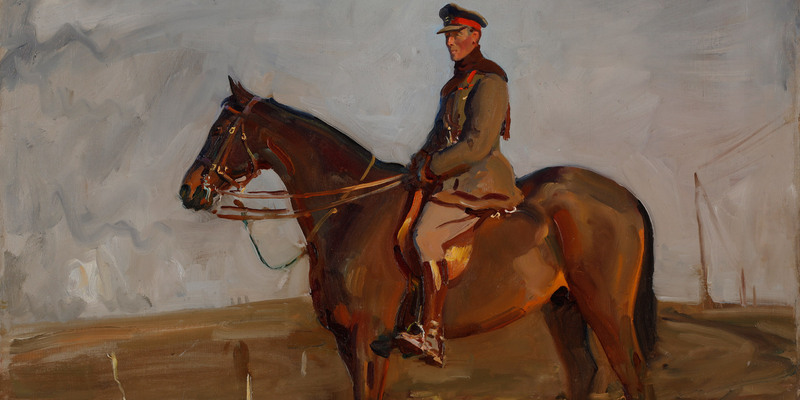 Join Dr Jonathan Black and Brough Scott for an evening of talks over a glass of wine, and visit the 'Alfred Munnings: War Artist, 1918' exhibition after hours. Alfred Munnings was just finding fame as a portraitist and painter of British rural life when the First World War broke out in 1914. He spent two months with the Canadian Cavalry Brigade - commanded by maverick MP, JEB 'Galloper Jack' Seely - until the German offensive began in March 1918. In this exclusive late opening, art historian Dr Jonathan Black and horse-racing journalist Brough Scott recap on Munnings’ early life and career, as they discuss their new book 'Alfred Munnings: Memory, the War Horse and the Canadians in 1918'. Tickets include a glass of wine and entry to the Alfred Munnings: War Artist, 1918 exhibition.